Last summer we had the opportunity to visit an archeological dig. The children were able to climb in the pit and look for artifacts and treasures. They were hoping to a dinosaur bone but were happy to find some pottery chips. The “Jurassic World Hatch ‘N Play Dino” appeals to the adventurer in them. 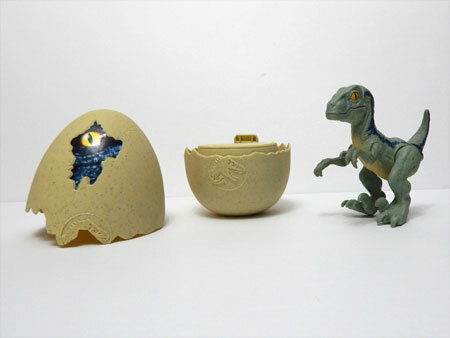 “Jurassic World Hatch ‘N Play Dino – Velociraptor Blue” comes with the egg and a baby Velociraptor. 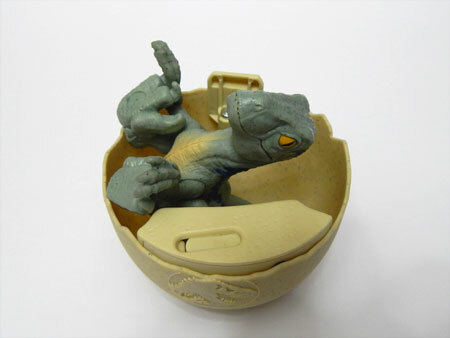 The dinosaur is very awkward to place inside the egg. You need to position his tail upwards and fold the legs up to it’s chest. Then you place the dinosaur tail down into the bottom of the egg. The top half of the egg is difficult to put in position. To connect the two pieces, use the dinosaur logo as a guide. 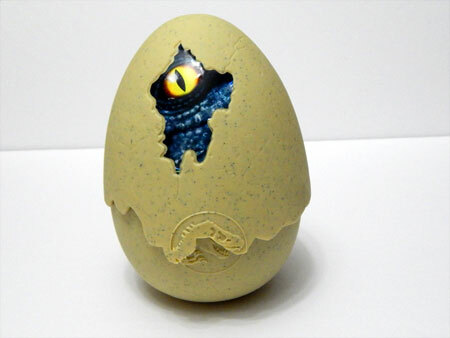 The egg has a cute sticker of the Velociraptor Blue’s eye. When positioned correctly, the egg will start making a chirping sound and it will hatch after about 5 seconds. My son was disappointed to find that the egg often didn’t hatch. 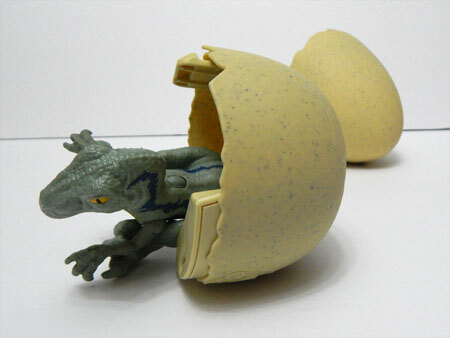 The “Jurassic World Hatch ‘N Play Dino” can be hatched over and over again. The Velociraptor has a wheel on his back that you can scroll to make the baby dinosaur chomp. The dinosaurs has moveable arms, legs and tail and can be posed and stand on it’s own. Overall the “Jurassic World Hatch ‘N Play Dino” was a disappointing toy. For the dinosaur enthusiast it would be a fun item to have on display, but as a toy it is limited in it’s appeal for my child. Disclosure: I received a complimentary “Jurassic World Hatch ‘N Play Dino” through the Amazon Vine Program in exchange for my review. All opinions are 100% my own.